A recurring theme in The Wave is the importance of developing a shared regenerative narrative, a vision of a future we will co-create. But how do we develop such a vision? What ideas do we use? How can we "try them on" to see if they fit? Answering these questions is why I was so excited to learn about an emerging genre of science fiction called "Solarpunk" (thanks Bobby Fishkin!). Ben Valentine described Solarpunk as "the first creative movement consciously and positively responding to the Anthropocene. It proposes that humans can learn to live in harmony with the planet once again." This room, like the rest of the complex, smells like water and fresh-turned earth. It’s designed to cool passively, and entering it is like walking into a cave: the air chill, damp. Shade plants—ferns, hostas, bleeding hearts—line the walls. Related terms include Ecopunk and Hopepunk. Pulling on this thread also led me to the term "CliFi" or "Climate Fiction" which is often not so hopeful! Let me know if you find any particularly good solarpunk reads - share the vision. Solarpunk is the first creative movement consciously and positively responding to the Anthropocene. It proposes that humans can learn to live in harmony with the planet once again. A book list created by the Solarpunk Community on Goodreads where there is also a Solarpunk discussion group. A collection of science fiction stories, art, and essays exploring human futures powered by solar energy, with an upbeat, solarpunk twist. Free from Arizona State University. Is CliFi intended to influence readers’ thinking about climate change? I tend to ask whether CliFi books are likely to engage readers in thinking about global warming in new ways. Pew's headline puts a pessimistic spin on what could be read as a fairly optimist outcome that a "majority of U.S. adults (56%) say they are somewhat or very optimistic about what the country will be like in 2050". Subscribe to Designers of Paradise podcast and get all the episodes automagically. Please tell your friends to subscribe too. We appreciate comments, reactions, and suggestions via email or twitter. H.O.P.E. – “Helping Other People Eat”. 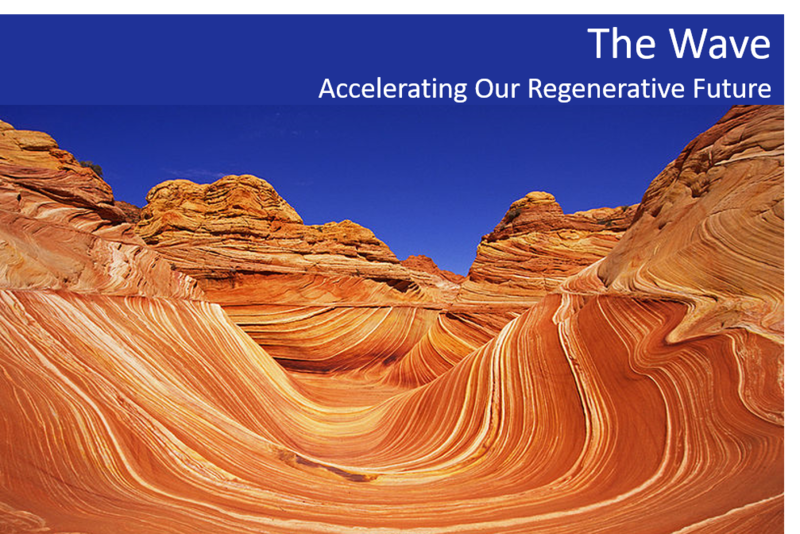 We are very early in the process of defining what it means to build a regenerative society. While the terminology will continue to evolve, we're convinced the ideas are directionally correct. We are studying, testing, plotting, and building interest, support, and resources. Thus this newsletter, which will come out every few weeks with information about RASA - narrating our work - along with brief observations and links to related materials exploring innovation and the regenerative economy. With effort, and a bit of luck, we hope support for these concepts becomes a wave sweeping the world! Check out the archive to see if this newsletter is right for you (or a friend). If you find this email valuable, please share with a friend. If you don't, please unsubscribe (link at the bottom.) We also much appreciate comments, advice, and suggestions for links to highlight. 3. This newsletter is a service of RASA, the Regenerative Agriculture Sector Accelerator. Thanks to Lobineau for the picture of the Wave in Arizona used in the header.